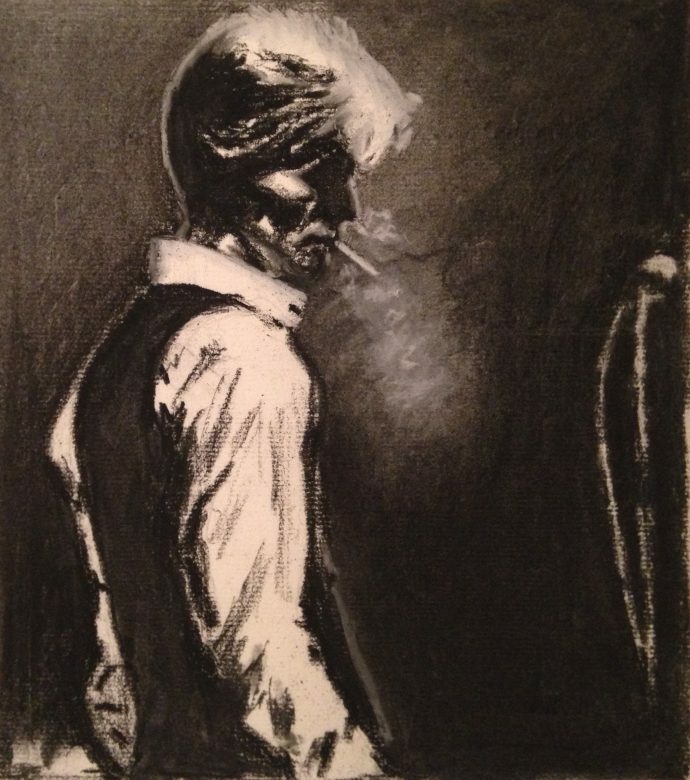 Charcoal sketch of David Bowie, the biggest influence to my musical taste and direction from the age of twelve when I got my hands on The Rise and Fall of Ziggy Stardust and the Spiders from Mars on Vinyl. Still got that copy and it still gets a spin. Sleeve notes tell you to “Play at maximum volume”!